There were disagreements between the slave and free state regions. This was sectionalism. The congress wanted to add Missouri to the Union. Adding Missouri would make the balance between slave and free states uneven. Since Missouri wanted to become a slave state they needed to protect the power of the north states. They made an amendment to accept Missouri as a slave state but they made it illegal to import enslaved Africans to Missouri and slave children were free. The south got angry. Missouri wasn't a state quiet yet. Henry Clay came and created the Missouri Compromise which the congress agreed to. Missouri would enter as a slave state. To keep the balance of slave and free states they added Maine as a free state. Then they created the 36'30 latitude line which made sure any states above that line couldn't become a slave state. The Fugitive Slave Act made it legal to let officials come to free land and capture the slaves that ran away. If you were on free land or slave land and you were helping slaves hid or housing them then you would be punished. You would get up to 6 months in prison or a $1,000 fine which was more than $25,000 today. Many people in the north hated this act. They thought it was horrible. People called abolitionists would help slaves who were living in the north from being captured. For example, Anthony Burns was a fugitive slave and he got arrested but abolitionists helped get him out of jail by killing deputy marshals. 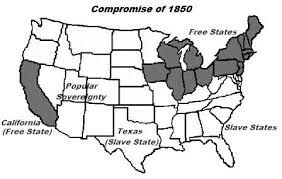 The Compromise of 1850 was a compromise to enter California into the union while pleasing the north and south at the same time. California wanted to join the Union as a free state and that would make the balance between slave and free states uneven. There wasn’t another state that wanted to join in as a slave state to make it even so they had to come up with another way to make the south happy. They decided to make the Fugitive Slave Act more strict and strong. That pleased the south and having California join as a free state pleased the north. 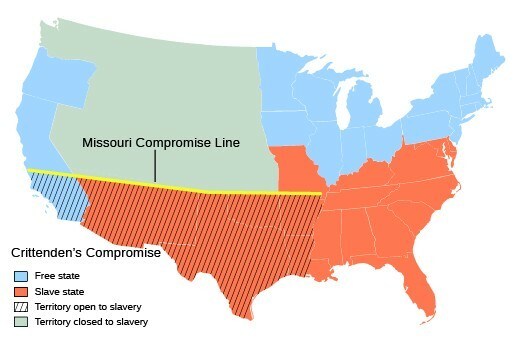 Since California wasn’t on the Missouri Compromise line they just took that act away and it didn’t matter anymore. Then Congress decided to create popular sovereignty for the next states that wanted to join the Union. Douglas wanted to build a railroad to the Pacific Ocean. Nobody really supported his idea. They wanted to build a railroad from New Orleans, across Texas and New Mexico Territory, to Southern California. But Douglas wanted the railroad from Chicago to the Pacific Ocean. Douglas went to some states senators with his idea and they agreed. The Louisiana Territory then got split into Kansas and Nebraska. This act eliminated the Missouri Compromise’s line that made the North states free and the South slavery. 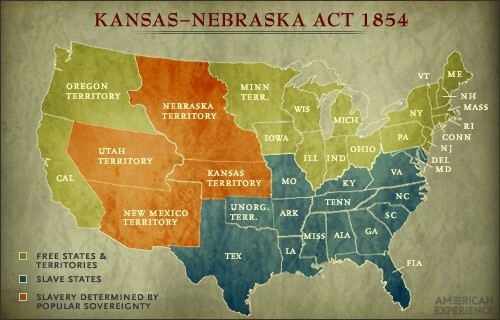 After Kansas had become a state its choice on it becoming a slave or free state was decided by the people living there. 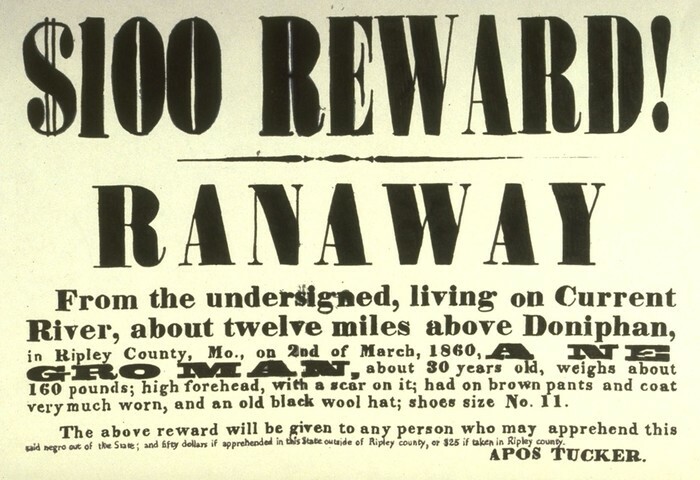 Missouri, Kansas neighbor, wanted it to become a slave state but many antislavery people lived there. 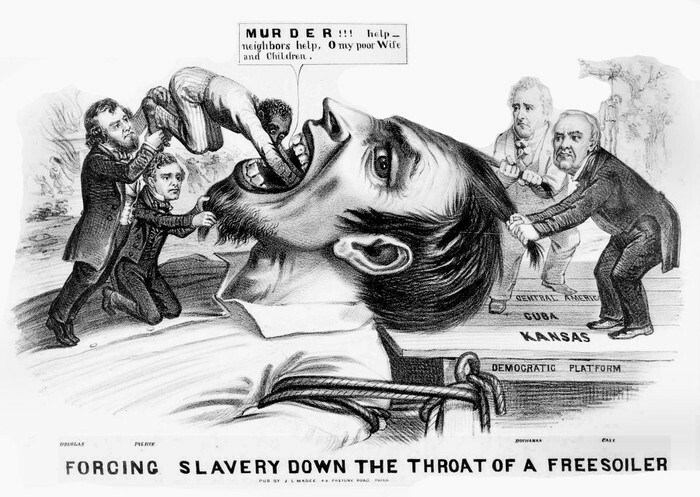 Thousands of pro slavery people went to Kansas to vote so it would become a slave state. By 1856 Kansas had two governments. People living in Kansas started to get angry. Violence had began to break out. Pro slavery men in Kansas had gone to Lawrence but the antislavery men knew they were coming so they left. Pro slavery men burned Lawrence. 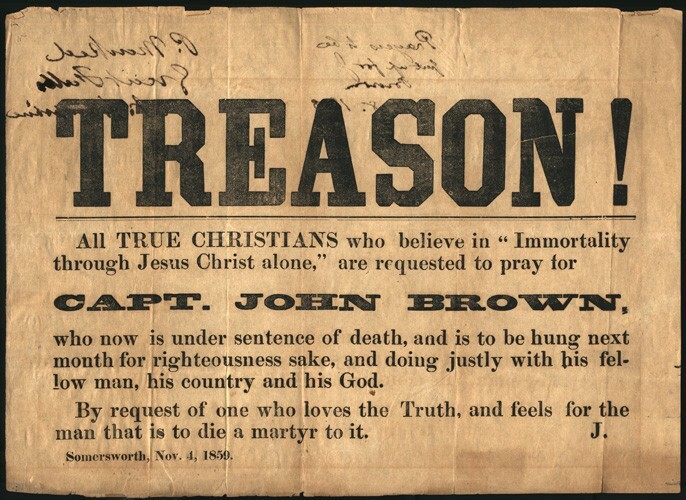 A antislavery member, John Brown got furious at this event. In response, John Brown and his men killed five pro slavery men in Kansas. This was called the Pottawatomie Massacre. 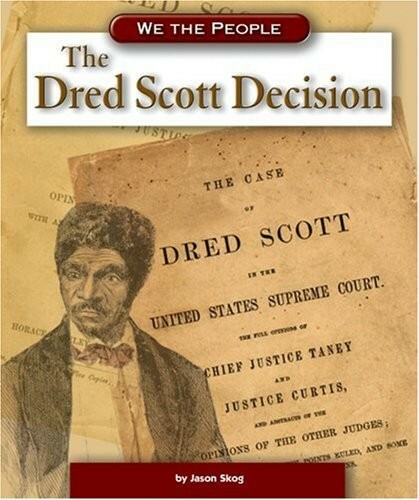 Dred Scott was a slave owned by Dr. John Emerson. Emerson was army surgeon and always took Scott on his tours of duty in the north. When they returned to Missouri after one of Emerson's duties, Emerson had died. Emerson’s wife then owned Scott. Scott then went to court and tried to sue for his freedom. He stated that he was free when living on free land. 11 years later Scott’s cased reached the Supreme Court. They said that only citizens sued in federal courts and they needed to decide of him living on free soil made him free. They made a final decision and said African Americans are not citizens so Scott did not have the right to sue and since he was property. John Brown wanted to plan an attack on the arsenal in Virginia. He wanted to have a army of slaves and abolitionists. He asked abolitionists for money to support his army but about after two years he only had twenty men. He sent some of his men to go get slaves to join him. The night of his attack on Harpers Ferry no slaves showed up. They were scared that Brown would not be successful and they would be punished. Southerners attack Brown and his men. Most of his men died and only a few survived. Brown was captured by marines and sentenced to death. 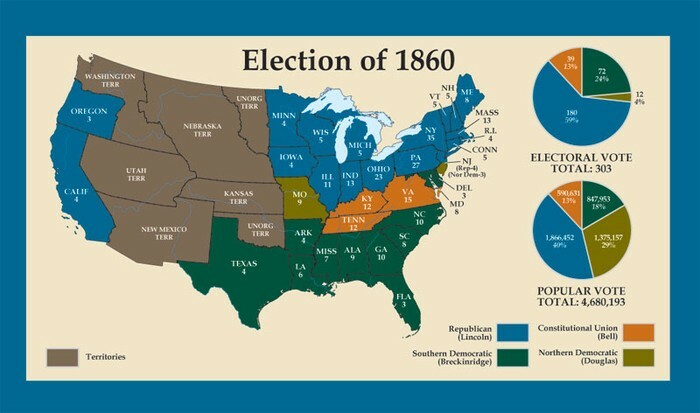 It was 1860 and it was time for an election for a new president. The north and south couldn’t agree on a new president. A new party came about called the Constitutional Union Party. John Bell was their candidate. Then Lincoln came along. He claimed to “not abolish slavery where it already existed.” They other candidates really hoped Lincoln wouldn’t not win the electoral votes and tried to prevent him from winning. Soon enough Lincoln won 180 of 183 electoral votes and became the next president. Lincoln angered the southerners by saying he would not let slavery expand and it would soon die out. The south thought that their economy would be destroyed without slavery. Legislatures from the south all joined together and discussed that if states joined the Union willingly that they could leave willingly. 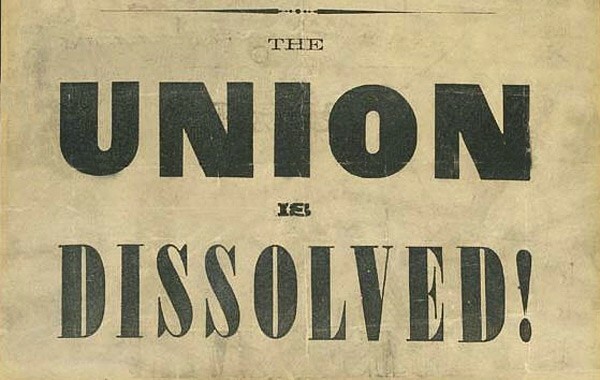 Lincoln thought this argument was ridiculous and said that a state can not leave the Union lawfully by their self. John J. Crittenden tried to make a plan that would make the south happy by protecting slavery. Lincoln did not agree with him. Lincoln did not want slavery to extend any further. When senators voted on Crittenden’s plan they all rejected it. 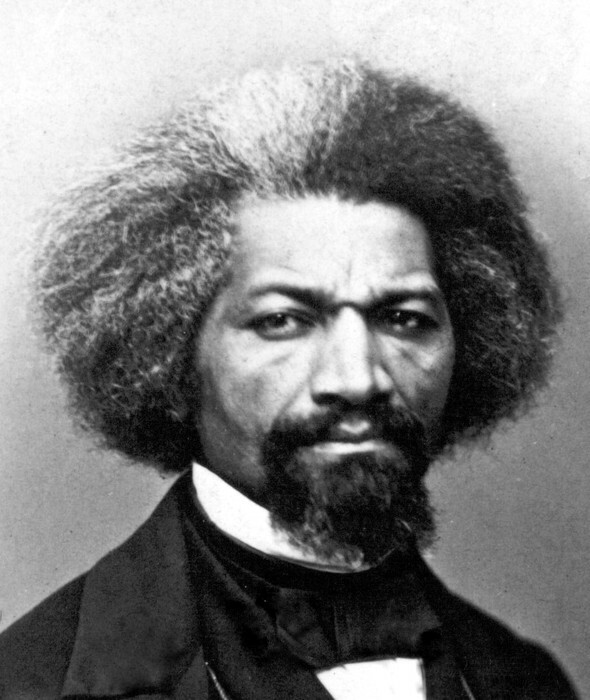 John Brown became an abolitionists because of his religious beliefs and he was influenced by the life story of Fredrick Douglas. 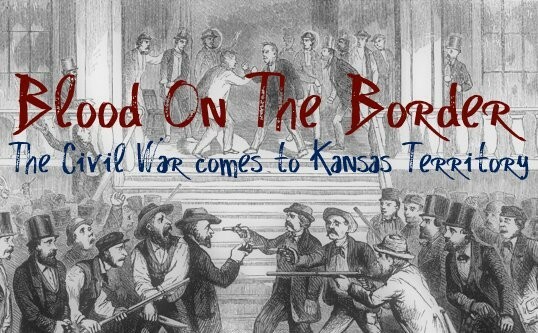 Kansas suffered the most casualties during the Civil War than any of the other states in the Union!!! The Civil War could have not have been avoided because of all the chaos already going on. This disagreements between the north and south got out of hand and they started violence between each other. A country cannot be controlled properly if its divided into two parts. War was bound to happen. Also the argue over slavery would have never stopped until someone had done something about it. The war ended all the arguments. The north was going to win anyways. They had more money and better economics. The Civil War could have not been avoided.